Domain authority is a deciding factor in determining where you rank on the search engines. Why? Because the authority of your domain indicates trust. And if you want to be rewarded by Google, you must show that you are trustworthy. 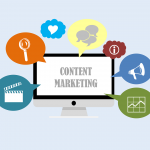 Acquiring links from spammy websites that are unrelated to your practice can, in fact, harm your website’s authority – which, in turn, will break your trust with Google. So be sure to only pursue link sources that make sense. The logic is simple: if reputable sites are willing to vouch for you – by recommending you to their visitors – then you’re more likely to be trusted. What’s the difference between a local link and a non-local link? Local links come from local sources, websites that are geared toward a specific geographic audience. A backlink from CNN.com would not be a local link. A link from a local college or newspaper would be a local link. 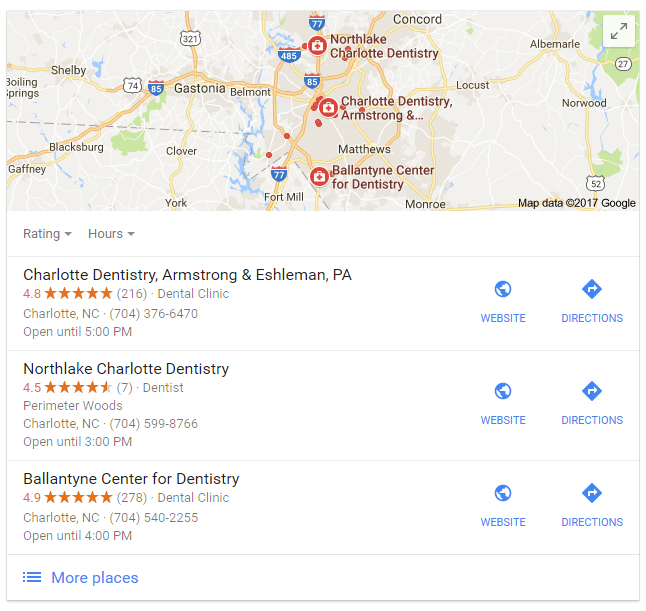 While either type may improve your search engine visibility, local links are especially important for a dental practice, as they help drive local traffic to your website. 1. Local organic results are websites listed on Google that show up when someone performs a search with local intent. 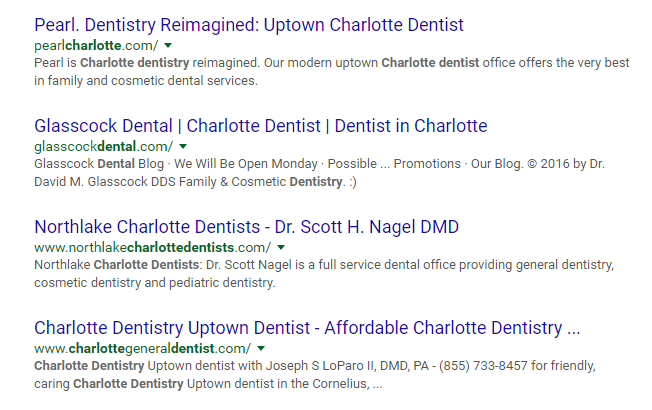 For example, if you search for “Charlotte dentists,” you’ll see dentists in the Charlotte, North Carolina area. The presence of “Charlotte” in the search query gives it local intent. 2. Local Pack Results are similar in that they appear for local queries. Varying from one to three results, local pack results are business listings that pull from Google’s local database. These results are driven by a combination of web ranking signals, some of which will be discussed below. Ranking in both local organic results and local pack results can be very beneficial. Think about it: if your website is optimized to its fullest, you could show up twice on the first page of Google (three, if you run online ad campaigns). 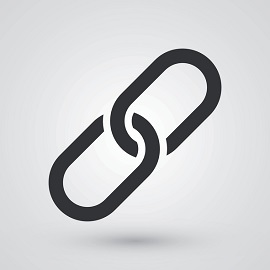 Below are five ways to get quality backlinks that Google approves of. A citation is a mention of your practice’s name, address, and phone number (NAP) on a third-party website. While most citations include a link to your site, it’s the mention of your NAP information that passes value within local search engines. Structured citations: Mentions of your practice on listing sites like Yelp, Localeze, Yellowpages, and Google My Business. Unstructured citations: Mentions of your practice on any other website, such as blogs, university websites, event listings, and online publications. Important: Be sure that your NAP information is consistent across all your listings. 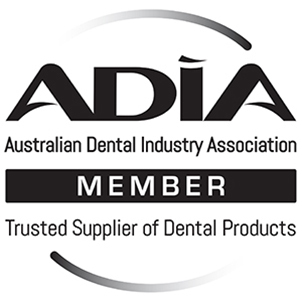 Acquiring links from dental associations can be quite valuable. While you might have to pay a membership fee to get listed, just one link from a local association could give you a helpful SEO boost. 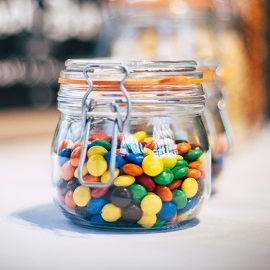 Donating services or money to a local charity or event can be a great way to acquire backlinks. Most likely, there are plenty of charities and sponsorship opportunities in your community. For instance, you could sponsor a festival, academic event, homeless shelter, or church organization. Hosting a local event is a great way to get your NAP information out there. 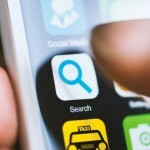 Getting a link from your city’s website or community news sources will tell local search engines where your practice is located; therefore, increasing your chances for ranking in local searches. Local or state universities can garner quality links back to your website. Not only are .edu links authoritative (and difficult to get), alumni associations will sometimes share news and events from their alumni. 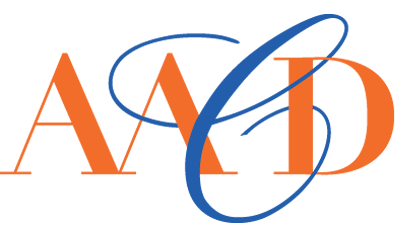 If you participated in a recent charity, or achieved a milestone in your practice, reach out to your alumni association to see about getting the good news published. Keeping Google happy is essential for improving your website’s authority. 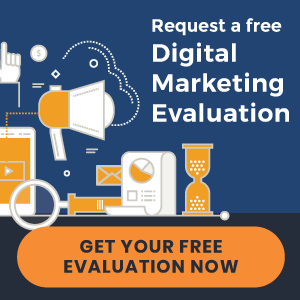 Despite the rise of social media and other online marketing initiatives, Google is still the number-one source of new patients. That’s why a sound local SEO strategy is as important now as it has ever been. 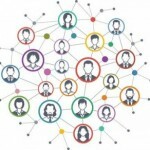 Want to learn more about improving your online presence? Subscribe to our blog at the top of this page to get our latest posts sent straight to your inbox. 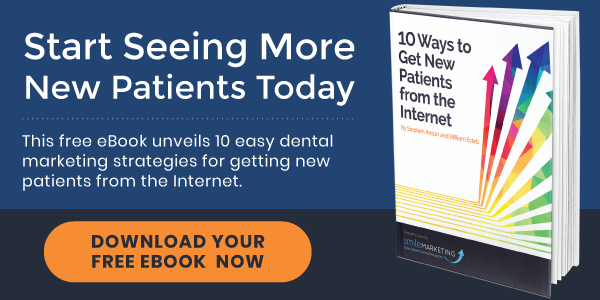 Also, download our free eBook, “10 Ways to Get New Patients From the Internet,” to jumpstart your online marketing strategy.